And the Winners of this year's Turing Award are: Whitfield Diffie and Martin E. Hellman. The former chief security officer at Sun Microsystems Whitfield Diffie and the professor at Stanford University Martin E. Hellman won the 2015 ACM Turing Award, which is frequently described as the "Nobel Prize of Computing". Turing Award named after Alan M. Turing, the British mathematician and computer scientist who was a key contributor to the Allied cryptanalysis of the German Enigma cipher and the German "Tunny" encoding machine in World War II. The Association for Computing Machinery (ACM) announced the Turing Award the same day when FBI Director James Comey appeared before a congressional committee to discuss how encryption has become Threat to law enforcement. The ACM announced the award on Tuesday, which includes the top prize of $1 Million that has been awarded to two men who invented the "public-key cryptography" – a technique that makes possible the commercial World Wide Web. "Today, the subject of encryption dominates the media, is viewed as a matter of national security, impacts government-private sector relations, and attracts billions of dollars in research and development," ACM President Alexander Wolf said in a statement. "In 1976, Diffie and Hellman imagined a future where people would regularly communicate through electronic networks and be vulnerable to having their communications stolen or altered. Now, after nearly 40 years, we see that their forecasts were remarkably prescient." 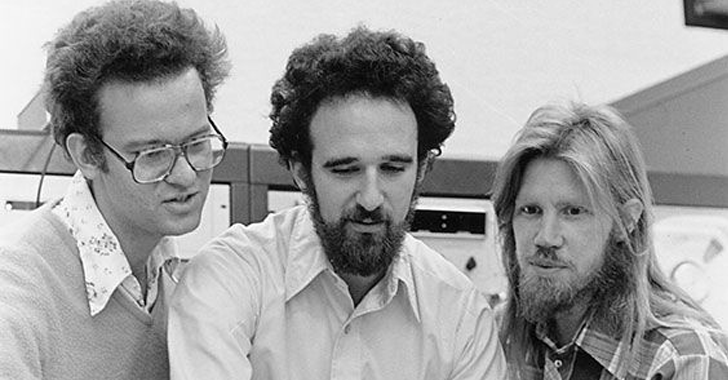 Diffie and Hellman published their landmark paper titled, New Directions in Cryptography [PDF] in 1976, outlining the first public-key cryptography (or asymmetric cryptography) technique to allow people to encrypt their data using publicly exchanged keys and decrypt the data using their secret private keys. The technique led to a revolution in the encryption, and the Diffie-Hellman key exchange protocol became central to almost all modern cryptography, including PGP (Pretty Good Privacy) encrypted e-mail, TLS (Transport Layer Security), and more. What is Diffie-Hellman Public-key Cryptography? Public-key cryptography is a method of encrypting data in which each party has a pair of keys – one is a freely shareable public key, and the other is a secret private key – thus eliminating the historical key management issue. The historical method required both sender and recipient of an encrypted message had to use the same key. So in case, that key was stolen or compromised, every encrypted message sent could be read using the key. And Hellman said, "The award is a great honor, but I feel very proud because it was named after Alan Turing, a man who was persecuted as we were." The two inventors of modern cryptography will share the prize money of $1 Million. Though the ACM has just announced the award at the RSA 2016 conference, it will present the 2015 Turing Award at its annual Awards Banquet on June 11, 2016, in San Francisco, California.